based on the source L2-scripts Classic 2.7 . Assembly adapted for protection against packet hacks - L2s-Guard (it is Possible to connect other types of protection). Beware of buying assemblies on the side, because you anywhere else except on our website does not sell the original. No dealers we have, all who pretend to be our distributors and TP - you are deceived. Also remember, even if someone sells our Assembly, then purchasing it from the side, you run the risk of not only being cheated, but also speilet the project at the start. Support - Standard Fare - 250 USD per month. Upgrade from previous Chronicles to this branch is not made. Regular customers discounts are available individually to 20%. 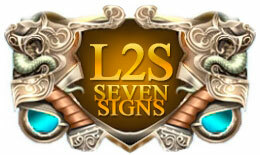 GEODATA Classic Saviors: Seven Signs is bought separately. +Added new hunting areas of the Seven Seals. + In the vicinity of the Village of the Dark Elves added the Catacombs of the Dark Prophecy. + In the vicinity of Aden added to the Necropolis of the Apostles. + Damaged Antaras Earring (+0 to +3) Added chance and bleeding resistance + 1%. + Damaged Bayum Ring (+0 to +3) added bleeding Resistance +1%. 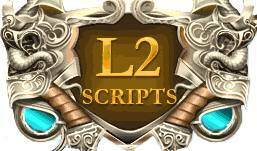 Do you have any questions about L2-scripts Classic: Seven Signs (2.8)?